Wondering where to find an urgent care in Greenville, North Carolina? 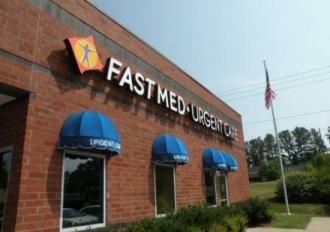 FastMed Urgent Care has two great locations in your city! Just put your zip code into our convenient office finder and find hours, address and phone number of all FastMed clinics nearby. When it comes to finding quality urgent care, Greenville, NC, residents have it easier than ever. We make sure our services are convenient and affordable. A team of dedicated medical professionals performs each treatment. For all of your non-life-threatening health needs, FastMed Urgent Care has you covered. Quality Care in Your Community! What should I know about FastMed Urgent Care? No appointment is necessary. Our goal is to get each patient in and out within an hour of the arrival time. We offer the option to check-in online, which may reduce your overall wait time. FastMed offers a discount program. For qualifying patients, the FastMed Discount Program is available. If you think you may qualify, click here to view our enrollment form. What types of urgent care services are available at FastMed? So the next time you’re in Greenville, NC, and in need of medical care, visit FastMed Urgent Care. Our doors are open and ready whenever you are. Check out our FAQ page to answer any lingering questions.